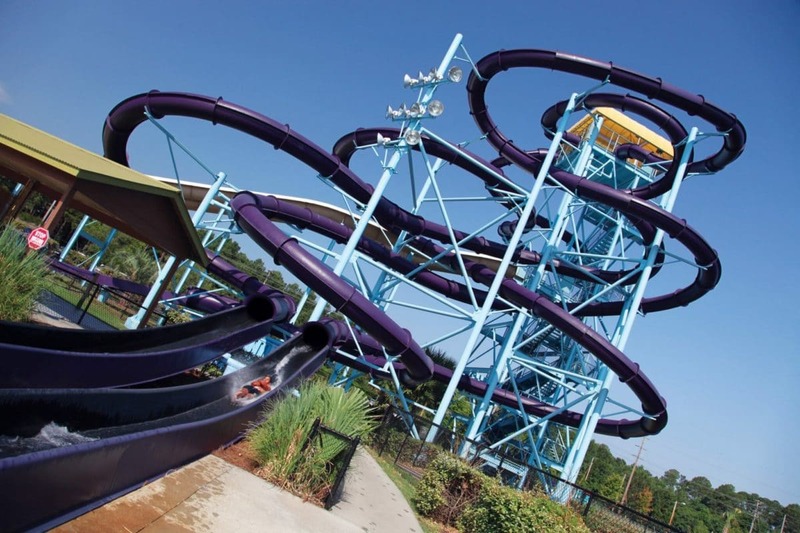 Welcome to South Carolina’s largest water park, Myrtle Waves! This seasonal waterpark holds over 30 rides and over 1 million gallons of water, providing your group with an impressive water recreation option outside of the beach itself. The Carolina Forest Reader's Choice named this spot the Best Water Park in 2016, as did the Beachie Awards. Your group can spend all day exploring the 20 acres of rides and slides, the park conveniently open from 9am to 9pm during the summer, allowing flexible planning options for your group. Discover all the rides, from the 10-story water slide to the relaxing lazy river. Some of the more popular rides here include the new Rockin’ Ray, Tsunami, classic Arooba Tooba, Ocean in Motion, and Night Flight. Groups here at Myrtle Waves will receive discounts, private cabana and Tsunami Ride rental opportunities, and an option for a group ‘cookout’ by the park (can work with groups of over 100). If you choose to eat on your own, however, you can take advantage of the various onsite eateries including the Island Cafe, Sharkie’s Snack Shack, and the Filling Station. For fun gifts, souvenirs, and swimming necessities you may have forgotten head to the Tropical Trading Post shop!